The Australasian Society of Aesthetic Plastic Surgery (ASAPS) and the Cosmetic Physicians College of Australasia (CPCA) invite you to join them at what is undoubtedly the premier educational event for non-surgical aesthetics in Australasia - the 2016 Non-Surgical Symposium, 2 to 5 June at the Melbourne Convention and Exhibition Centre. The attendance of this meeting has grown by 20% each year and 2015 was a sell-out. Once again the doors will be opened to all medical practitioners performing non-surgical rejuvenation and their staff. We will be welcoming plastic surgeons, cosmetic doctors, dermatologists, ophthalmologists and the nurse aeshteticians, dermal therapists and practice staff who work with them. The success of the past Symposium is due to a vital component which guaranteed it’s value and ongoing relevance: independent presentations by a long list of international and leading local presenters on state of the art concepts and practice in the non-surgical rejuvenation sector. W H A T W I L L W E C O V E R ? The Non-Surgical Symposium will again cover the entire spectrum on appearance medicine, from injectables, through to skin care, including laser/light devices and non-surgical body contouring tools. A lot has happened in the last year to bring you up to speed on. We are going to work hard to make our program more interactive, with a larger focus on expert panel discussions. In 2016 we will take greater advantage of the quality of teachers that we have on faculty and already in Australia and New Zealand, using video (rather than live injecting), so that we can make the process more efficient with better images and a greater learning experience. A call for abstracts will be emailed to you in the new year, where you will have the opportunity to submit your abstract for consideration via the website. We encourage your participation and contribution. On the day prior to the Symposium, Thursday June 2, ASAPS will run the Anatomical Dissection and Live Injecting Workshop (additional fees apply) at the Royal Australasian College of Surgeons. There will be a short lecture program on the anatomical changes of ageing and how this affects facial aesthetics and guides treatment selection. The workshop will have a combination of anatomical dissection and live injecting, and the program is modified each year according to feedback. Last year we introduced an anatomical demonstration paralleling the live injecting and demonstrated this on-screen simultaneously in the injecting room. This will provide an opportunity for greater anatomical understanding and will enhance the learning experience. We will again use the keynote presenters from the Non-Surgical Symposium as guest faculty for the workshop in both the anatomy and injecting areas alongside our local experts. Registrations for this workshop will open in January 2016. It is important to highlight that the Anatomical Dissection and Live Injecting Workshop is a separate event to the Non-Surgical Symposium and will incur separate registration fees. Lastly while science is our focus, let’s not forget the social program of the Non-Surgical Symposium, which has reached legend status. The Gala dinner in 2016 will be a black-tie event with all the bells, whistles and glowing gloves that we have come to both love and expect. 2016 will be fresh, exciting and inspiring. 2015 was sold out and numbers are limited again in 2016, so register early to avoid disappointment. 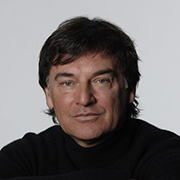 Prof. Dario Bertossi is an internationally acclaimed Maxillo Facial Surgeon known for his innovative surgical techniques and is an international speaker on advanced Maxillo Facial surgery techniques. Dr. Bertossi has more than 16 years of experience in the field. Prof. Bertossi has been a visiting professor at many university centers in the USA, Europe and South America. He is actively involved in research and teaching other Maxillo Facial surgeons in the University of Verona and gives surgical demonstrations to other maxillo facial surgeons around the world. Prof. Bertossi is a member of the following societies: The American Society for Facial Plastic and Reconstructive Surgery, European Academy for Facial Plastic Surgery, European association of maxillo facial surgery, Italian society of maxillo facial surgery, International Association of Oral and Maxillo Facial Surgery, Italian society for oral pathology, Italian academy for esthetic facial surgery. Dr. Bhatia is an internationally recognized expert in dermatologic surgery and cosmetic surgery. His expertise includes facial and body aesthetic surgery, skin cancer therapy, Mohs & reconstructive surgery, laser surgery, and skin resurfacing procedures. He has published extensively in journals and textbooks, and is a sought after teacher, speaker, and instructor. Through his clinical research, publications, public service initiatives, and the use of innovative technologies, Dr. Bhatia has made a broad range of intellectual and practical contributions to the fields of dermatology and dermatologic surgery. 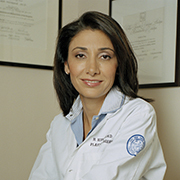 Dr. Bhatia is an Assistant Professor of Clinical Dermatology at Northwestern University, Feinberg School of Medicine. Dr. Bhatia’s memberships include the American Academy of Dermatology, American Society for Dermatologic Surgery, the American Society for Laser Medicine and Surgery, the American College of Mohs Surgery, and the American Medical Association. Professor (a Contratto) of Plastic, Reconstructive and Aesthetic Surgery – Plastic Surgery Department, University Hospital (Policlinico) of Modena, Italy (Dir. : Pr G. De Santis). Syneron, Lasering, DEKA, Galderma, Endymed, Anteis, Eufoton, Asclepion, Perf-action, Sciton, Viora, Merz, Alma. Chee Leok Goh is currently a Senior Consultant Dermatologist at the National Skin Centre and Clinical Professor of the Faculty of Medicine of the National University of Singapore. He was the Medical Director of the National Skin Centre, Singapore between 1990 and 2004. He is a Committee Member of the Singapore Medical Council Aesthetic Practice Oversight Committee and member of its subcommittee on Certificate of Competence Accreditation. His special interests are in Acne related disorders, Contact and Occupational Dermatitis, Dermatological and Laser Surgery and Medical Informatics. He is a member of the International Contact Dermatitis Research Group. He was past president of the Society of Laser Medicine and Surgery of Singapore and also past president of the Environmental and Occupational Dermatology Society of Singapore. He is a member of the Global Alliance to Improve Outcomes in Acne, member of the Asian Acne Board and Chairman of the South East Asian Acne Study Alliance. He is a past member of editorial board of the Contact Dermatitis (Munksgaard Publication) and past international editorial board member of the Archives of Dermatology and Journal of the American Academy of Dermatology. He has published more than 300 scientific papers in peer review journals and chapter contributor to numerous dermatology reference books and co-editor of several reference dermatology books and several educational books for the lay public. Dr. Haideh Hirmand earned her Doctorate in Medicine at Harvard Medical School and her Master’s in public health administration at Harvard’s JFK School of Government. She trained at The New York Hospital-Cornell Medical Center in surgery and was a surgical research fellow at Cornell Medical College and Rockefeller University. She completed her research project at Oxford University and her sub-specialty fellowship in eyelid/aesthetic surgery at Paces Plastic Surgery/Emory University. She completed a second craniofacial and aesthetic fellowship at Paris’ Necker Children’s Hospital. Dr. Hirmand has been in private practice since 1999 and is Clinical Assistant Professor of Surgery at the New York Hospital-Weill Cornell Medical Center. She is also a member of the attending staff at the Manhattan Eye, Ear, and Throat and Lenox Hill Hospitals. Dr. Hirmand specializes in eyelid and facial rejuvenation procedures, and has pioneered safe injection techniques for around the eyes. She also has a special interest in secondary breast surgery and body contouring. Dr. Hirmand is certified by the American Board of Plastic Surgery and is a member of the American Society of Plastic Surgeons and the American and International Societies of Aesthetic Plastic Surgery. The Non-Surgical Symposium will once again take place at the Melbourne Convention & Exhibition Centre, in Melbourne Rooms 1 & 2. This bright and sunny conferencing space overlooks the Melbourne CBD and the Yarra River. Day registrations are available. Please click here to view the daily registration rates. Once again the Non-Surgical Symposium will host two unmissable social functions. 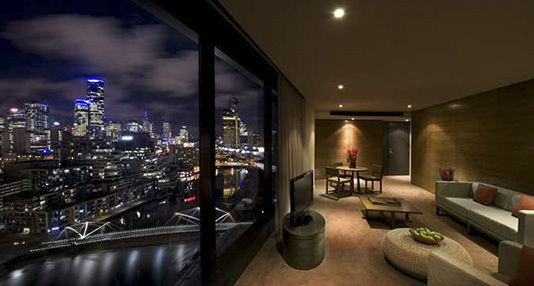 It’s a stylish, modern riverside hotel with unparalleled views of Melbourne. 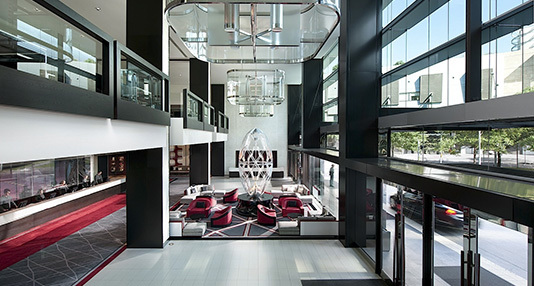 Rising 20 stories high and with varying, yet equally spectacular views across Melbourne from every room, our 396 contemporary Guest Rooms and Suites have been innovatively designed to create an ambiance that is refined and luxurious, with warm yet dramatic interiors that exude quality. 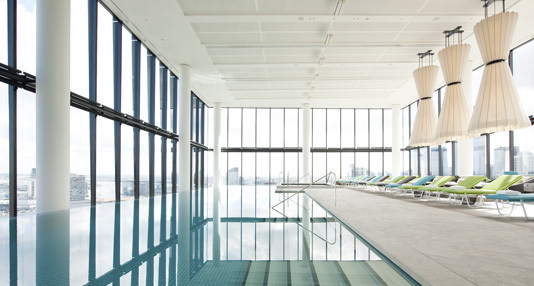 Crown Promenade is located within the vibrant Southbank precinct as a premier luxury hotel in Melbourne. 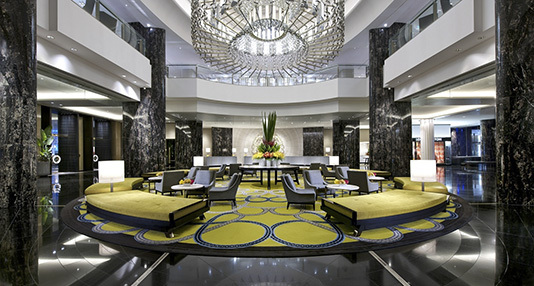 Directly linked to the Crown Entertainment Complex by air bridge, Crown Promenade is also within walking distance to the CBD, the Melbourne Exhibition Centre and many of the city’s most famous arts and sporting facilities including the MCG and Rod Laver Arena. An ideal starting point from which to enjoy the city. Please note that the TPHE office will be closed between 23 December 2015 and 12 January 2016. All enquiries will be answered outside of these dates.